These are the same prints we sell individually, grouped together for you at a great price! Savings of $34 as a set! SKU: SET-DRAGON6. 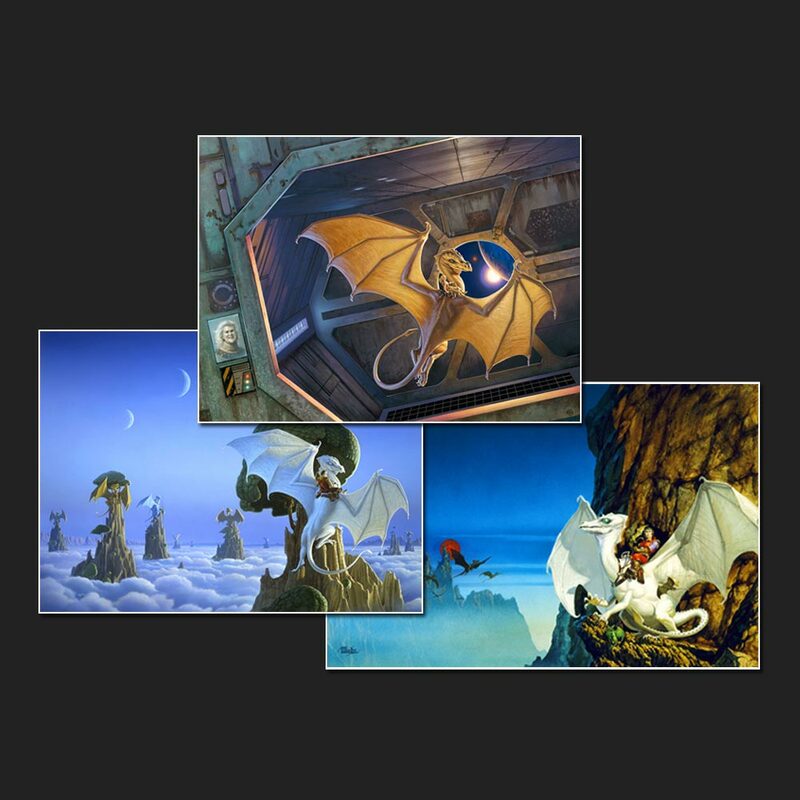 Categories: Dragons, Fantasy, Illustration, Reproduction, Set. Tags: Anne McCaffrey, Barbara Hambly, Current Specials, Melanie Rawn, Orson Scott Card.